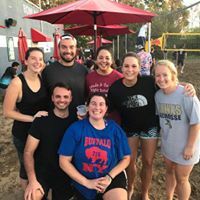 2019 Volleyball Registration is now open! Register Now to ensure your spot for the upcoming session! We are currently offering early bird registration and will provide some additional early bird incentives by email and on our facebook page so make sure you are following us and make sure you are signed up to receive our emails! Please let us know if you have any questions. We look forward to seeing you all soon for an awesome spring session! 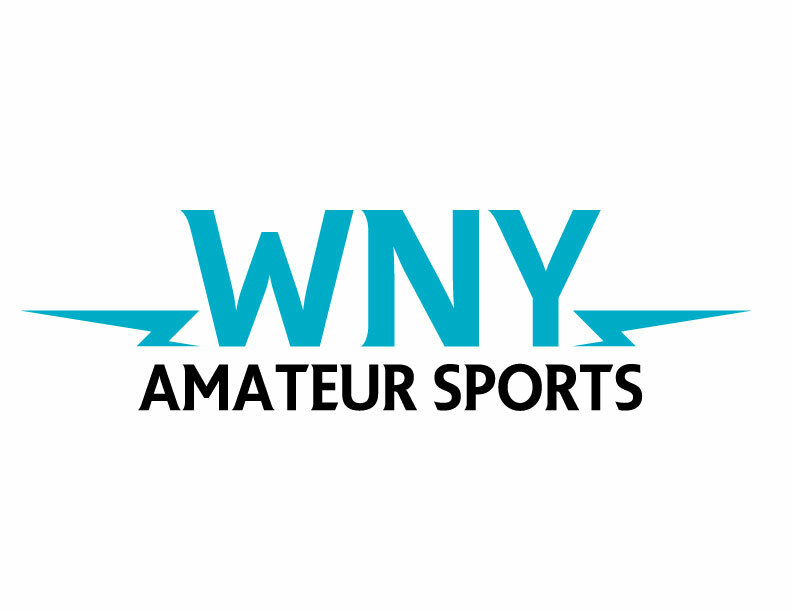 FYI: The charge will show up on your card as WNY Social Sports. Thank You very much for your business! 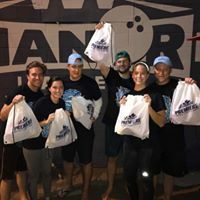 Tournaments - Check our tournament tab for dates! TONS of awards and prizes! 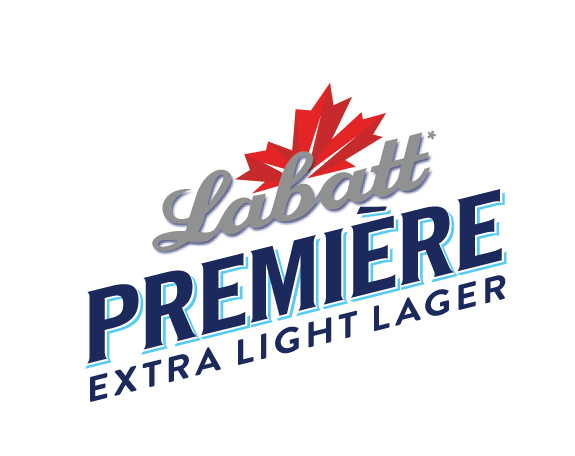 Awards from WNY Social, Labatt Blue, Player of the Month, League MVP, Championship MVP, Player of the Year, Team of the Year etc. We can order custom shirts or full custom team uniforms for you! Contact us! We would love to pull up to the courts and see matching team colors - a red team vs a white team, a blue team vs a green team! NEW LOCATION ADDED - American Grille in East Aurora!! 2019 is beginning soon so REGISTER NOW! There are no limits on the roster, but 2 females must be on the court during the game. If only 1 female is available the team must play with 4 players - 3 males and 1 female. Drink specials for WNY Social Sports players every night! PLEASE NOTE - Refunds are only given if a league you registered for does not fill. If you register as a Free Agent and we cannot find a team for you, we will also issue a refund. Unfortunately, we are unable to give refunds for any other reason. 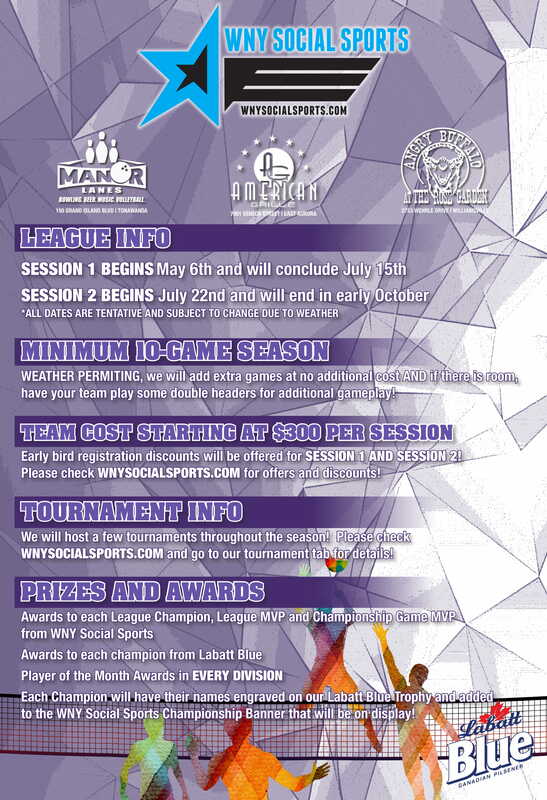 One of the best run recreational, intermediate and Power volleyball leagues in the Western New York region. Find out about how you can get your team playing today. 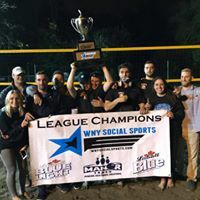 WNY Social Sports is a league management service, dedicated to serving up fun co-ed recreational and advanced volleyball. 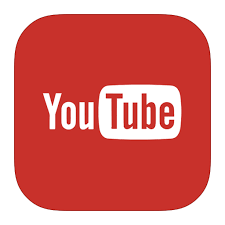 If you would like us to assist with your league please feel free to contact us.